This brand is Highly Reviewed! This brand has received some fantastic reviews, here are just a selection. It's perfect Could not wait to use my new mattress.and i really did sleep well.woke up feeling really refreshed and no more sinking into my old mattress which was causing me aches and pains.now i cant wait to get to bed and have good night sleeps. Amazing!! I absolutely love my mattress, from the first night I received it, I have enjoyed my bedtime so much better, have been sleeping so well. Firm and faultless Only had this matress for a few days but I am very impressed. It was taken out of its box and was very compacted and neatly packaged. We removed the packaging and left the matress to expand for 24 hours and it is a very sturdy peice of merchandise. Would definately recommend as you'll get a very good nights sleep. Luxurious If you are thinking of buying this mattress don't hesitate! Best one I've slept on. So comfortable. Got mine earlier in the year and it actually achieved the impossible - it improved my sleep. Excellent I suffer from arthritis in many joints, and have been sleeping badly due to stress. The mattress is extremely comfortable, and after using it for 5 nights I am sleeping better. 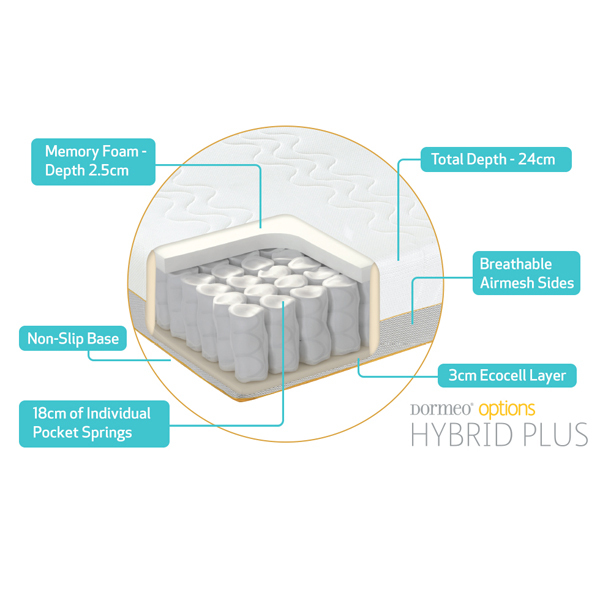 This memory foam mattress moulds to every contour of your body to provide support and comfort while you sleep. Each pocket spring, which is individually wrapped, cradles your body. 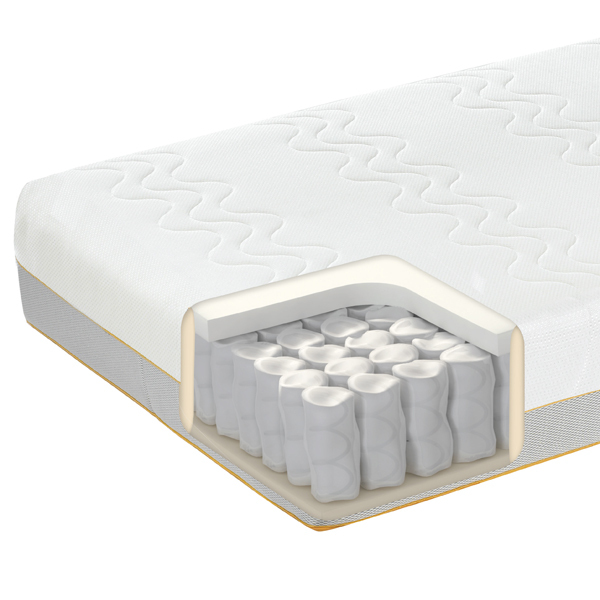 The king-size mattress also features a non-slip base so that it remains on the base at all times for an undisturbed sleep. 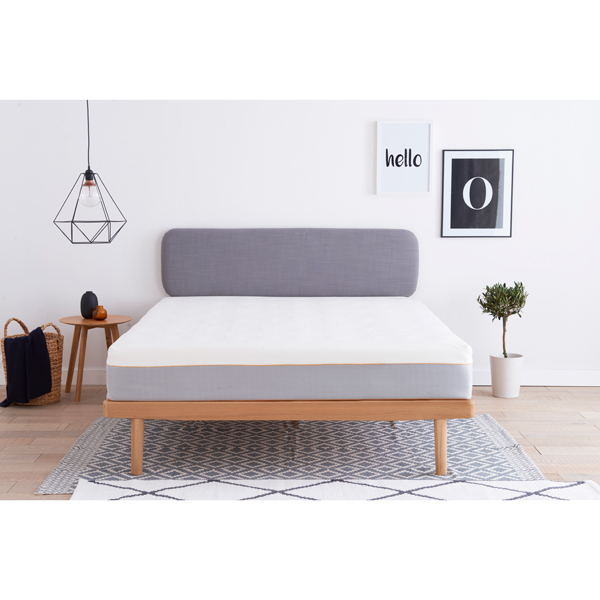 To aid your sleep at the correct temperature, the mattress is created with airmesh sides to move humid air out and allow fresh air in, boosting circulation throughout the mattress. For customers to benefit from this 60 night trial offer, we ask that you unpack and check your mattress as soon as possible after it has been delivered. Please remove the mattress from its box, carefully remove all polythene wrapping and allow the mattress to unroll in an adequate space. Please keep the polythene wrapping in case you wish to return the mattress to us. Allow at least 24 hours for the mattress to take shape in a warm room. Once opened, there may be a "new foam" smell which should dissipate within a few days. If you are happy with your purchase, please dispose of all the packaging in a responsible manner and recycle if possible. If you're not happy with your mattress, however, please contact our customer service number (08717 123456 8.00am 8.00pm daily) within the 60 day period and a member of our team will arrange for the mattress to be collected from you free of charge. Please note that you may be asked why you did not find the mattress satisfactory. Unfortunately we cannot accept a return where the mattress has been accidentally or otherwise damaged. By way of example this includes damage to the cover or core of the mattress or if the mattress has become soiled, wet or stained.